No matter how much you’re trying with your makeup, the fine lines and wrinkles around the eyes are always showing. There are many skin care products that are able to diminish the appearance of lines around the eyes, but it’s only the dedicated serums that are truly going to work out in the end. What’s to know about Younique? Why try the Younique Uplift Eye Serum? What are the ingredients within the formula? How does it feel on skin? What are the tips when using it? What are the ups and downs of the serum? Working hard to always create natural, healthy and pure cosmetics, Younique is one special brand that is giving women the cosmetics and job opportunities they need. Their cosmetics don’t include any synthetic ingredients or fillers and the company is using special scientific processes that ensure the high quality of the ingredients, for better health of your skin. The Younique Uplitft Eye serum sure creates some stir around it as it’s both effective and intriguing. 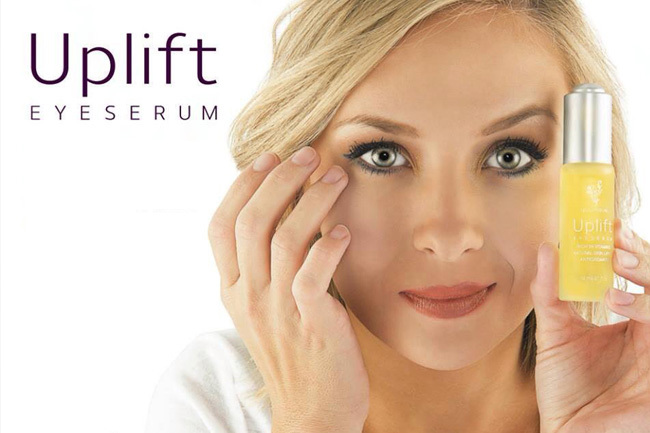 The serum is formulated so that it moisturizes, replenishes and minimizes the appearance of the wrinkles and fine lines. 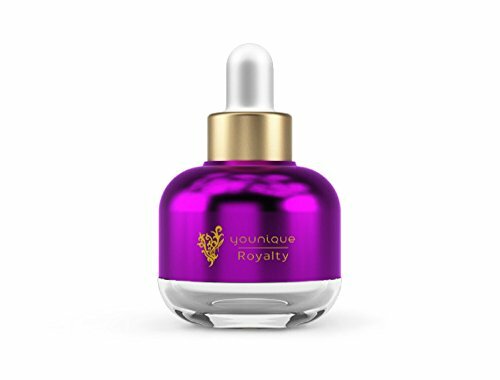 Created to improve your skin’s vitality, the serum is going to give your eyes the fresh and rejuvenated appearance that you were looking for so long now. Whenever you’re interested into having healthier and younger looking eyes, the serum from Younique is going to be a reliable help, for sure. Truth be told, none of the ingredients within the formula are revolutionary in any way. However, it’s the combination of the ingredients that makes the serum so highly efficient and reliable for many. One of the things that is going to make a nice impression right from the beginning is the fact that the serum doesn’t contain any fragrances. This is great info for anyone with a sensitive skin or who’s experiencing burning/itching skin. CoQ10- is also known as ubiquinone and it’s a powerful antioxidant that is naturally produced by our body. It’s important for the cell development and function. As we’re aging, we start losing it, which is why it’s a common ingredient within the cosmetic products. It’s an anti-aging ingredients that penetrates the skin nice and easy, minimizing free radical damage thanks to its antioxidant abilities. It sustains the collage and elastin production in skin, lessening the visibility of wrinkles and fine lines. It reduces the oxidative damage to tissues. Vitamin C- puts the aging process of skin under control, fading out the wrinkles and fine lines. It brightens darks spots caused by aging, sun, pregnancy or other cause and evens your skin tone. It protects the skin from the damage of UV rays and other outer stressors. It gives your skin a nice radiance and doesn’t irritate either. Vitamin E- sooths the irritated and dry skin and reduces the appearance of wrinkles and fine lines. It moisturizes skin and reduces pain from cold sores. It smooths out stretch marks and treats efficiently sun burns. It lightens dark spots and acts like a cleansing agent too. It reverses premature skin aging and removes dullness from skin. Iris Pallida Leaf Cell Extract- renews damages skin and protects it from future damage. It uses a natural mimetic mechanism so the cells go naturally into the skin layers. It slows down the aging of skin and sustains its effort to fight against the free radicals. Squalane- is a great moisturizer that hydrates, softens and plumps the skin. It’s non-greasy and lightweight, absorbing really fast into the skin. It’s a great ingredient for the eye area as it prevents eye-area dryness. It’s non-irritating and safe for one dealing with sensitive skin conditions. It’s non-comedogenic and doesn’t cause acne. It controls the oil production in skin and speeds the healing of cracked skin. It comforts eczema, psoriasis and dermatitis. It has antibacterial properties and protects the skin from the free radicals. It evens your skin tone as well. The serum is certified by the NIRC (National Ingredient Resource Center) which certifies that it’s an-all natural product. The plant extract-filled formula lasts for quite some time so the serum pays off. The scientific blend of the formula is ophthalmological testes and safe to use around your eyes. It matches the natural pH acidity of tears, so it doesn’t cause irritation. The serum is fairly easy to use. You should always apply it on cleansed and dry skin. You’re only going to need a few drops on your fingers for one single use. Apply it nice and gently beneath the eyes and on crow’s feet. Due to its formula, the serum is safe to use on sensitive skin or even eczema. The risk for irritation is minimal. It doesn’t sting nor burns and doesn’t leak into your eyes either. The serum is lightweight and soaks right into the skin. It leads to a light, yet refreshing sensation when applied. The more you’re using it, the more you’re going to notice your fine lines and wrinkles slowly going away. A little goes a long way and the serum is going to get you good for a nice amount of time. It doesn’t leave a sticky feel nor a film when it dries. The small dropper is easy to use and gives you just the right amount for each application. Able to lessen the visibility of fine lines and wrinkles, the serum is going to help the delicate skin around the eyes look fresher, younger and healthier: YOUNIQUE BRAND TOUCH GLORIOUS FACE PRIMER. Why not spend the extra buck for that effect?